As Cambodia claws its way into lower-middle income status one of the biggest hurdles it faces on its journey to the next level is the lack of a steady supply of skilled labour preventing its manufacturing sector from graduating beyond the garment and footwear sectors. In an attempt to boost the supply of skilled labour in Cambodia the Asian Development Bank (ADB) has provided a $45 million loan under its Upper Secondary Education Sector Development Program (USESDP) to help improve the level of math, science, and information technology skills in Cambodia secondary education students. The USESDP funds will also be used to continue Cambodia education reforms, including reviewing and updating the national curriculum, and producing new textbooks and teachers guides for all year 12 subjects. In addition the number of teacher housing units will also be expanded in areas of high need, while upper secondary education facilities such as teaching equipment will be modernised and furniture purchased for 12 resource centres. Reforming the sport sector to prepare Cambodia to host the 2023 Southeast Asian Games. Speaking with The Phnom Penh Post, Chin Chanveasna, executive director for the NGO Education Partnership, said the Ministry of Education will need to work effectively and transparently to carry out such reforms. “If the reforms take too long [to yield results], it may lose confidence from the public”, he said. The most visible aspect of the MOEs overhaul of the education system is without a doubt the annual national school exams. 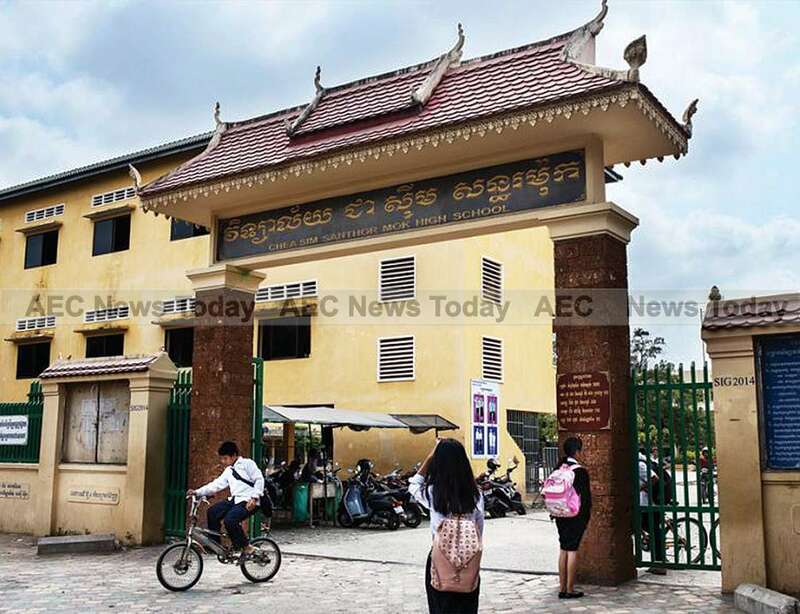 As part of its plan to improve the integrity of its graduates the department has adopted a zero tolerance policy to exam cheating, drafting Cambodia’s Anti-Corruption Unit (ACU) in to help. In 2014, the first year that the stringent standards were enforced, only 25.7 per cent of students passed the national high school exams. Last year this more than doubled to 55.8 per cent, while this year saw 62 per cent of students qualified for university entry, an increase of more than 11 per cent on the year prior. With just 11 students achieving the highly sought after score in 2014, the Cambodia education reforms are already delivering tangible results in more ways than one. Despite ample publicity in local media and warnings prior to the exams that there would be zero tolerance for cheaters, 19 students automatically failed the exams this year and will have to wait one year to sit them again after being caught cheating. Of the 19, one bribed a proctor, one used a cell phone to cheat, while the others took mobile phones, cheat-sheets, calculators, and a smartwatch into the exam room. It’s not only cheating students who are suddenly finding out the old ways of the past are gone. Nine teachers and exam supervisors (proctors) were also singled out regarding corrupt practices during the exams and the post-exam marking period. While none faced the criminal prosecutions that had been threatened prior to the exam, all were subject to formal verbal or written reprimands in addition to being passed over for promotion and banned from monitoring exams. Ministry spokesman Ros Salin told The Phnom Penh Post that the improvement in the pass rate proves that the reforms being implemented by Education Minister Hang Chuon Naron – including curriculum changes and improved teacher training – are effective. It also shows that students’ mindsets about the exam are changing, he added, calling it a successful collaboration among students, parents, the ministry and the ACU, which has overseen compliance. “We are very proud of the outcome that we have this year”, he added. 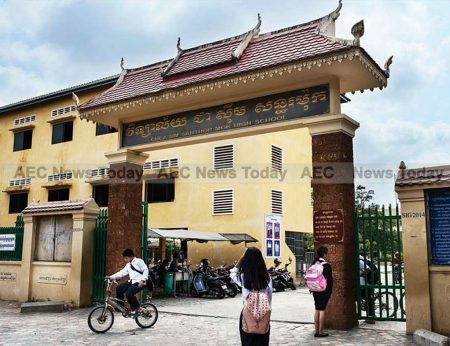 Acknowledging the improvement, Preap Kol, executive director of Transparency International in Cambodia, said this year’s results are an indication of improvement in students’ knowledge. “They are working harder to prepare themselves for the exam because they know they can’t cheat. It’s a win in regards to producing a better educated workforce and it’s a win in reinforcing transparency, ethics, and morals in the future leaders of Cambodia”, he said.